The Polestar 1 has debuted at Auto China 2018 in Beijing, marking the return of Polestar to China. Following its media launch in Shanghai in October 2017, and recent European launch at the Geneva Motor Show, this is the first time the Chinese public has the chance to see the Polestar 1, the first car from the new electric performance brand, Polestar. After our public introduction at the Geneva Motor Show in March, we are excited to be back in China – one of the key markets for the Polestar brand,” says Thomas Ingenlath, Chief Executive Officer at Polestar. “It feels great to bring the Polestar brand and the Polestar 1 closer to the public here in Beijing. Pricing for the Polestar 1 has now been confirmed as 1.45 million RMB in China, 155,000 euros in Europe and $155,000 in the United States, giving customers a clear understanding of where the Polestar 1 sits in the marketplace. 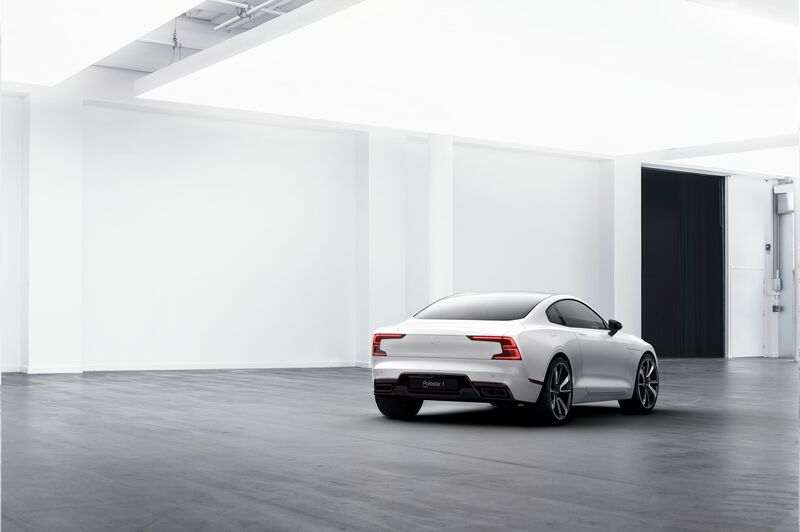 Details of Polestar’s all-inclusive subscription pricing will be confirmed at a later date. In March, pre-orders for the Polestar 1 were opened to over 7,000 people in 18 countries who had expressed interest in owning a Polestar 1, enabling them to pay a deposit as a placeholder in the queue for the car. Another key development in Polestar’s global growth was the appointment of August Wu as the new President of Polestar China in March. “I am delighted to be part of this exciting electrification journey with Polestar as we become an important force in the automotive industry’s evolution in China,” says August Wu. Polestar began building strong momentum immediately after its launch last October, which was closely followed by the start of construction at the new Polestar Production Centre in Chengdu, China. The dedicated facility now has a completed roof structure and is on track towards tooling installation and pre-production testing by the end of 2018. The Polestar Production Centre will build all Polestar 1 cars for customers around the globe. August Wu will lead the development of Polestar in China with a focus on the new Polestar retail network – called Polestar Spaces – where customers will enjoy a personal brand experience without the typical sales approach found in traditional car dealerships. However, retail functions like placing an order will be digital, as Polestar also redefines the way customers live and interact with their cars. “Polestar engagement will be digital and our cars will be offered primarily on a subscription basis. With one monthly payment covering all of the traditional costs associated with car ownership, we enable the customer to focus on the enjoyment of driving. We believe that this will help Polestar form a new relationship between ourselves and our customers,” concludes August Wu. The Polestar 1 is an Electric Performance Hybrid GT which produces 600 horsepower and 1,000 Nm of torque, as well as 150 km of pure electric driving range – the longest of any hybrid car in the world.